gnarchief wrote: Jared handed all four of us burnt ends straight from the smoker, "Dream Weaver" started playing in my head, and the world all went into soft focus. For quantity alone, the Pit-to-Plate dinner is an insane deal at $30 per person. The quality of the food and experience, though, makes it priceless in my mind. I was there last night and co-sign on this 100%. The Pit-to-Plate dinners are operating on a really high level, it's an insane amount of food, and for people who don't smoke meat it's a pretty unique experience. I do smoke meat, and was really impressed with what we were served. You're always going to get a better quality product when you're pulling and slicing the food to order, and everything on the meat plate save for the pulled pork was done that way. Completely agree with the beef rib comments as well. Beef ribs are the unsung heroes of smoked meats and these were good examples of just how good they can be. The aren't gummable like moist brisket but straddle the line between a good lean brisket and a steak. The end result is something beefier and more caveman like, which is only amplified by the Flintstonian size of each bone. The big jar of homemade pickles on the table to cut the savoriness was essential. The thing my wife and I were both talking about this morning though was the Nashville Hot Chicken drumstick. As a former Nashville resident and someone who's tried most of the limp attempts at appropriating NHC around town, let me offer a ringing endorsement. What I was served last night is as close to traditional NHC as I've ever had in Illinois for sure, and maybe outside of Davidson County period. The crust (shattering), the sauce (NOT gloppy, NOT neon), and the burn (initial sweetness Trojan Horseing the creep of a persistent hum that makes your lips feel like you're kissing a water heater) were all on point for what should be 'mild'. I should mention the chicken still had that crust after resting in the smoker for 30 minutes while we had course one. God help me when I get my first plate from The Budlong straight from the fryer. It's also telling that even after stuffing ourselves to total discomfort, there wasn't a bite of peach cobbler left on anyone's plate. It's 11:00 on Saturday and I'm still full. Thanks to those above who have enjoyed our Pit-to-Plate dinners earlier in 2016. We took the months of August and September off (from weekly pit-to-plate dinners), as we opened 2 Budlong Hot Chicken restaurants, but we're back at it in October up at BBQ Supply Co. This live-fire private dining experience is like no other - we put you right in the middle of the action: next to the smoker, the wood-fired brick oven, and chefs plating your carnivorous pleasures. This season we're going to collaborate with other local talent - so expect to see some guest chef appearances. 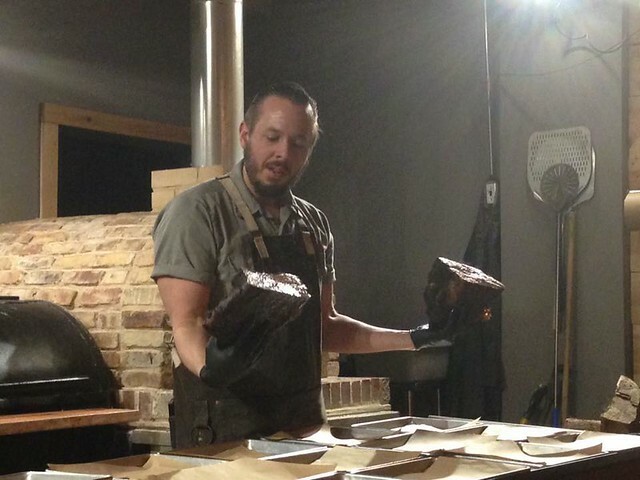 We're also going to use the brick oven more - flatbreads, charred veg dishes, pizzas. Tickets sell out about 30 days in advance, so your book yours today! Can't wait to see ya'll soon. Though it was more than two months ago, the Pit to Plate dinner from Rub's Backcountry Smokehouse has remained front & center and stands as one of the finest I've had. Others upthread have covered a lot of the event details as well as praise I was going to layer on. The full house was warmly greeted by Jared who delivered some very informative remarks then and again several times during the evening. We began with a bowl of terrific Smoked Chicken Bisquet, a soup with mushrooms. It is served over a dynamite biscuit. We were advised to not overdo it on this course as there was much more to come. Good advice. The next day, I tried some of the leftover soup and it had a subtle smokey flavor that I hadn't detected over the background smoke of the room, really nice. Next was the meats course. This was an embarrassing amount of food, all of it awesome. The beef ribs were simply the best BBQ I've ever eaten. The brisket, pork, and sausage were the great stuff you know Rub makes and at peak freshness. The eating went on for... some time. My visit on October 28th happened to be Game 3 of the World Series so there was fun buzz in the place before we even sat down. The game was put on which was nice and made the night all the more memorable. If any of this sounds even a little good, you should really book your ticket today. straight from the source, Rub is undergoing a makeover and re-branding as we grow.... "Over the past 7 years, we've served 657,300 plates of BBQ. 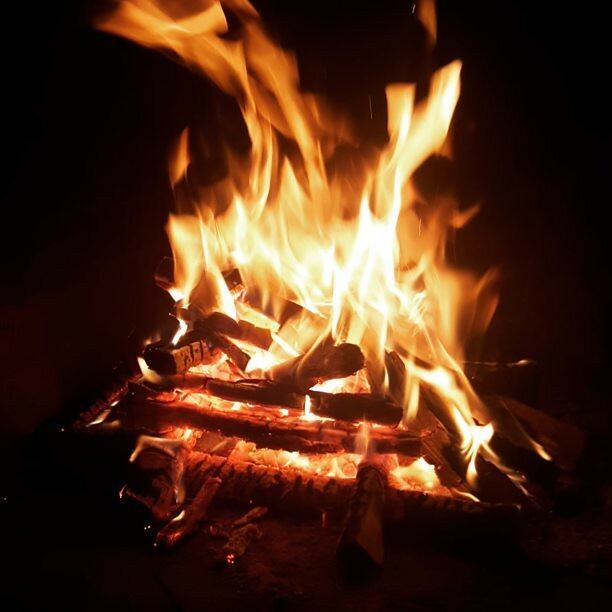 The fires in our pits have been burning for 61,320 hours... We've expanded 3 times. As our brand grows, we've recognized that our restaurant is truly unique. We don't just serve smoked meats on a plate. We teach classes, host private pit-to-plate dinners, have a BBQ retail store, cater, we own/operate the Rock River BBQ Ranch. We are far more than a restaurant, we're a BBQ Supply Co.. Today the neon "Pit BBQ" sign won't be on, the smokers won't be burning, and you'll have to get your BBQ elsewhere. We're spending the next few weeks remodeling, replacing kitchen equipment, re-working the menu a little, just freshening things up a bit... We'll re-open in March (date TBD) as BBQ Supply Co. We're adding to our retail section, we're working on some hams & bellies, we're going to add full spare ribs to the menu, beef ribs, we're taking it to the next level! We look forward to sharing our dreams with you..
thanks for the support y'all, you are truly great customers... we do this for you! Oh my god, those beef ribs being available outside of a pit-to-plate dinner is going to be amazing. That's what I'm going to order the minute they reopen. But please don't expect them to be as good as at pit to plate. As good as Rub has been in their holding procedure, the held ribs aren't going to be as good as right from the smoker and it is hard to get as good a product when "mass producing". Jared, I have to admit I have not been to your BBQ place in all these years, though I have followed your adventures every step of the way including when you drove down to get your Pit BBQ sign. But I will be there in the very near future and can't wait to check it out. Good luck with the remodel, Jared! That reminds me, I've been meaning to sign up for one of those P2P dinners, no time like the present! Don't worry, you can always get your rib fix at Smal.........oops, when it rains it pours. A comment about the snake river farms brisket....I ordered a couple 2 years ago and cooked them low and slow on my egg, and while they were great, I feel that the similar sized ones that I get at costco, 16-20 pounds packer cut prime, are basically just as good at around 1/3 the price. While I would assume that when you buy in bulk you get a better price and the shipping cost isnt as significant, for a civilian like myself it does not make a lot of sense. Here is a link to some good info on Wagyu brisket for those of you, like myself, who are not up to snuff on this. It will be a shame to see "Rub's" disappear. Everyone I know called the Backcountry Smokehouse, Rub's and look how successful Ruth's Chris Steakhouse is. If not Rub's BBQ Supply Company, BBQ Supply Company by Rub's. It's very impressive how Jared went from operating a tiny joint with BBQ on the name but no smoke on the plate to his post oak empire in the making. I'm all for progress, but we should always remember and honor where we came from. Here's the other reason for our evolving name that doesn't read right in the press, so it's never part of our official statement (though, yes, I realize this is the internet and revealing it here is almost the same as talking to press, but I wanted to give the inside track to my LTH peeps)..
we opened "Rub BBQ Company" 7 years ago - about 6 months before Jeff Shapiro opened R.eal U.rban B.BQ..... over the years, more and more folks called his joint RUB and confused us with them, or thought there was a connection... their brand is very different from ours (that's all I'll say bout that). After 3 years in business, we moved around the corner, bought a big AN Bewley pit, & I changed the name to "Rub's Backcountry Smokehouse" to: 1) represent our newfound authenticity as a real smokehouse... 2) separate us from the "other rub"
Fast forward to 2017... We opened BBQ Supply Co. (our retail shop) in 2016. We hired Dylan Lipe as exec chef/culinary ops director. We have started working on hams (aging now), bellies, premium meats, pastrami, and sausage. We're growing our retail line, offering more classes, and digging in as a multi-faceted BBQ Supply: restaurant, classes, catering, event production, customer smoker consultation, Pit to Plate dinners, and charcuterie house. I bought http://www.bbqsupply.com and we have plans to offers our retail products online. Nevertheless, I am going to boycott the place until it reopens. The recent posts have prompted me to read this thread from the beginning, and it's been interesting to see the evolution of Rub's (it's okay to still call it that for now, right?) and the evolution of the LTH consensus on its quality. I haven't yet been to a Pit-to-Plate dinner, but it's at the top of my list of special food-related things I'd like to have a chance to do this year. I'd like to express my gratitude to Jared for being generous with his time and expertise in answering some questions that I had about barbecue in the Chicago area. My truest barbecue love is beef ribs, good brisket being second. Jared, I look forward to enjoying whatever you have to offer next, but especially to whatever extent beef ribs are in your future plans, I'll be among your biggest fans! scottsol wrote: Nevertheless, I am going to boycott the place until it reopens. As I was driving south on Western tonight I passed by what appeared to be an open, and very white, restaurant. There were people in the place and a lit up Open sign in the window. Passing by the other way at 8:15 the Open sign was no longer on. I didn't notice any food, but my view was limited and short lived, so who knows and he's not talking. Per Facebook they are open tonight from 5:30 to 8:30. They have not posted the menu. Those wanting to act out the introduction from The Flintstones can make their dreams come true. Leonard is adding 5-pound beef ribs slabs to the regular menu ..."
I am so happy! Thank you, Jared! we opened Saturday after a big push to finish construction and made several last minute changes, yada, yada, yada.. such as it happens with remodels and openings, and this was both..
We closed again today as we had some unfinished tiling & grouting that was delayed and we can't lay tile and grout while open.. closed tomorrow (regularly are on Mondays)..
one last thing: our Pit to Plate series has one more smoked gator & pig menu, then we move on to a seafood boil menu starting first week of April. House-made andouille.. fresh crawfish from our friends at Louisiana Crawfish Company, also of course smoked items on the menu (it is Pit to Plate, we just added a skillet and giant Groen steam kettle to our catering kitchen and its the season...so).. we haven't decided what smoked meats to serve..but it'll be a good series - probably do it for about 8 weeks - April and May. PS - this Friday's dinner says "available", then you click to buy and it only allows you to buy one.. we sell to 36 but can seat 40... right now we're at 35 so send me a PM if you want in to the last "Here piggy, piggy - later gator" dinner ( I know but I couldn't resist)..
After the Thursday soft opening with no carryouts and the failure to have that service (as sort of promised) on Saturday; I just wanted to remind you, in case you were thinking of delaying Tuesday's official opening, that I know where you live. Go to bed. I don't want to see your face print in the food Tuesday. The fact is, I never expected you to be ready on time. Opening a restaurant within even a few weeks of the initial estimate is pretty damn unusual. What makes you think I didn't know about your families relocation? I take BBQ very seriously. You mean every order will now have the same quantity of chips within less than an order of magnitude error?